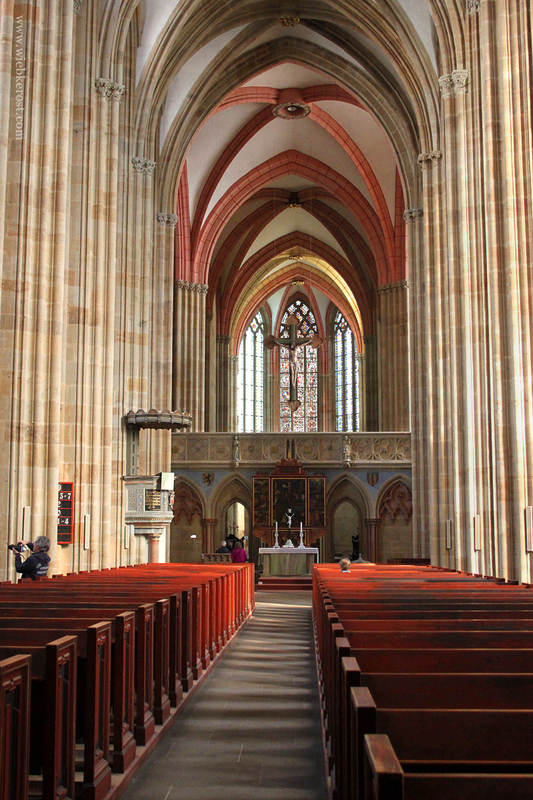 Inside the Dome of Meißen; the nave occurs taller than it actually is, due to narrow rows of slim stone pillars. The dark red church pews contrast the soft sandstone. They remind of the blood of christ and mankind.